For off-duty dressing that ensures you stand out, look no further than the Vintage 1946 French Terry Sweater. Pullover is crafted from a superbly soft terry knit for easy layering or styled on its own. Stand collar. Long sleeves with cuffs. Quarter-length zip placket. Self-trim at straight hemline. Contrast flatlock seams throughout. 80 percent cotton, 20 percent polyester. Machine wash, tumble dry. Imported. Measurements: Length: 30 in Product measurements were taken using size MD. Please note that measurements may vary by size. Straddle the fine line between smart and casual wear with a Vintage 1946 Pullover. Superbly soft heathered sweater in a rib knit for easy layering throughout. Stand collar. Long sleeves with cuffs. Quarter-length zip placket. Contrast flat-lock seams throughout. Straight hemline. 90 percent polyester, 10 percent cotton. Machine wash, tumble dry. Imported. Measurements: Length: 29 in Product measurements were taken using size MD. Please note that measurements may vary by size. 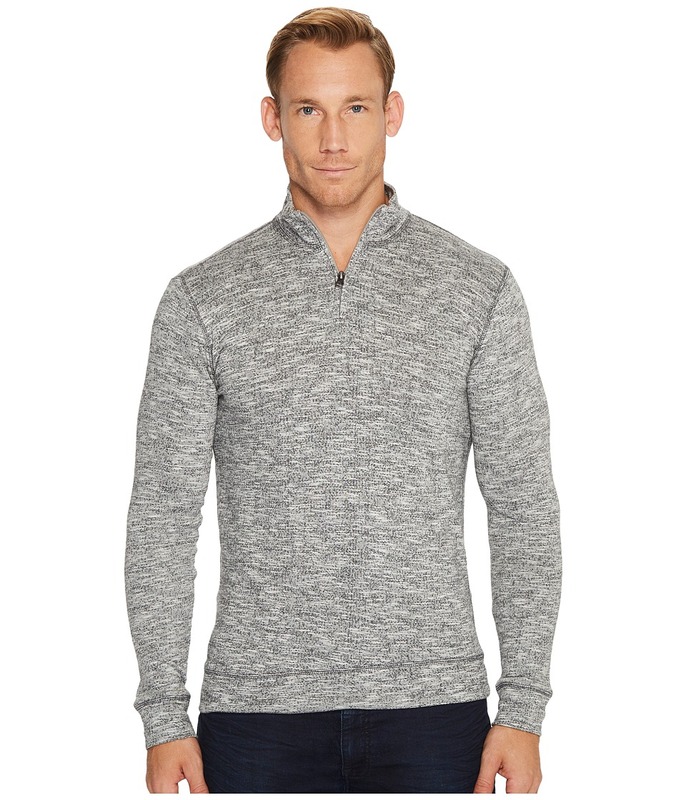 Straddle the fine line between smart and casual wear with a Vintage 1946 Pullover. 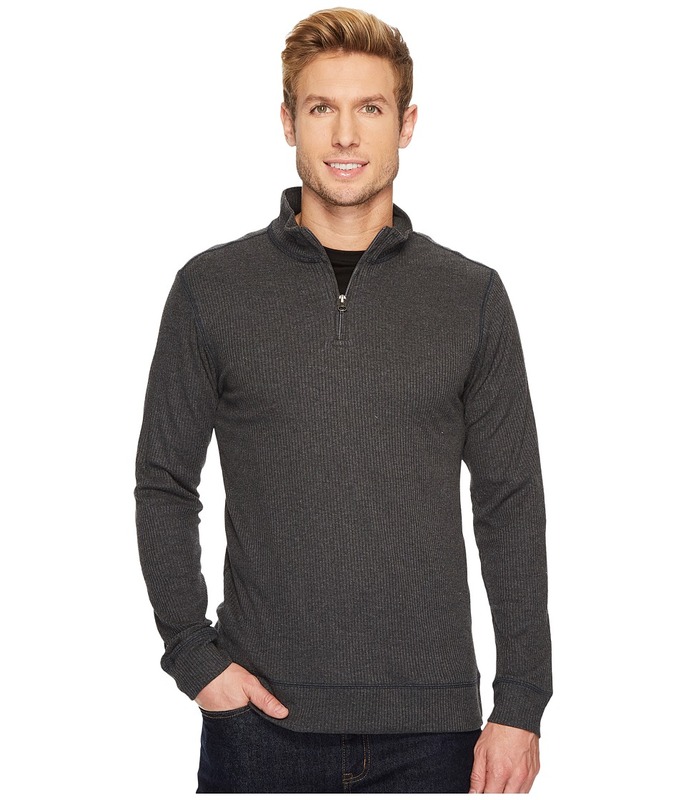 Superbly soft heathered sweater in a micro-rib knit for easy layering throughout. Stand collar. Long sleeves with cuffs. Quarter-length zip placket. Contrast flat-lock seams throughout. Straight hemline. 80 percent polyester, 20 percent cotton. Machine wash, tumble dry. Imported. Measurements: Length: 28 in Product measurements were taken using size MD. Please note that measurements may vary by size. 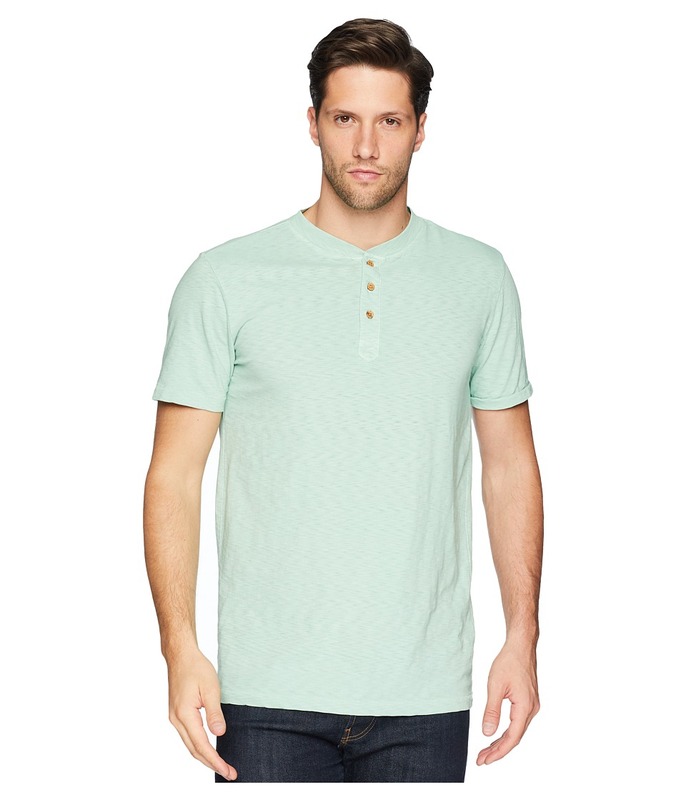 Redefine your weekend wardrobe with unique staples like the Vintage 1946 Henley. Soft French Terry henley with heathering for a vintage look and feel. Crew neck and long sleeves. Contrast flat-lock seams throughout. Three-button placket. Straight hemline. 80 percent polyester, 20 percent cotton. Machine wash, tumble dry. Imported. Measurements: Length: 29 in Product measurements were taken using size MD. Please note that measurements may vary by size. Vintage 1946 knows that a range of great Polos forms the foundation of any gentleman~s wardrobe. 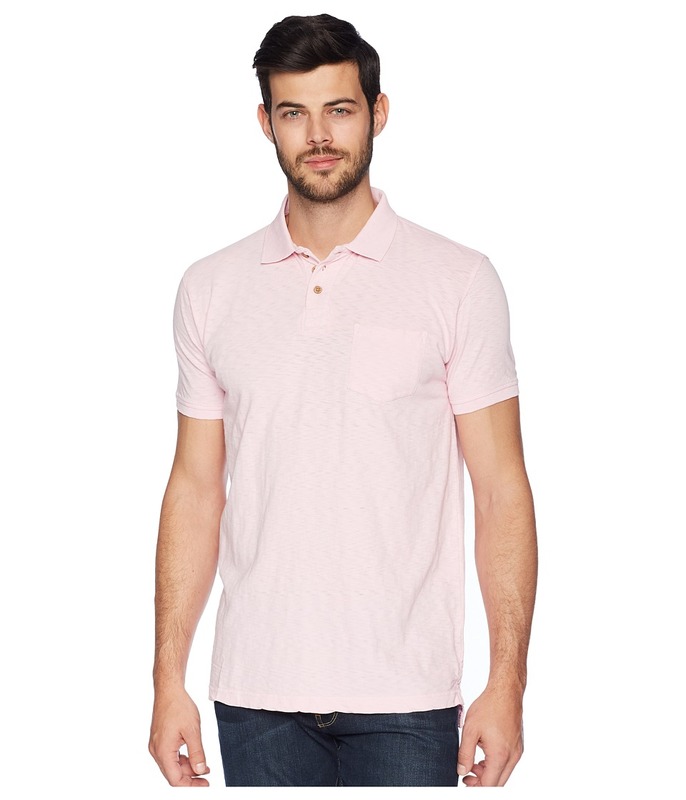 This regular-fit polo is crafted from a superbly soft and lightweight slub jersey for an easy weekday to weekend wear. Ribbed fold-over collar. Short sleeves with rib trim. Three-button placket front. Single chest pocket. Straight hem with side vents. 100 percent cotton. Machine wash, tumble dry. Imported. Measurements: Length: 31 in Chest Measurement: 18 in Sleeve Length: 13 in Product measurements were taken using size MD. Please note that measurements may vary by size. A style that speaks for itself, this Vintage 1946 Slub Crew T-Shirt will take your off-duty look to the next level. This regular-fit tee is crafted from a superbly soft and lightweight slub jersey in a unique garment dye for a lived-in look and fee. Crew neck and short sleeves. Single chest pocket. Straight hemline. 100 percent cotton. Machine wash, tumble dry. Imported. Measurements: Length: 29 in Product measurements were taken using size MD. Please note that measurements may vary by size. 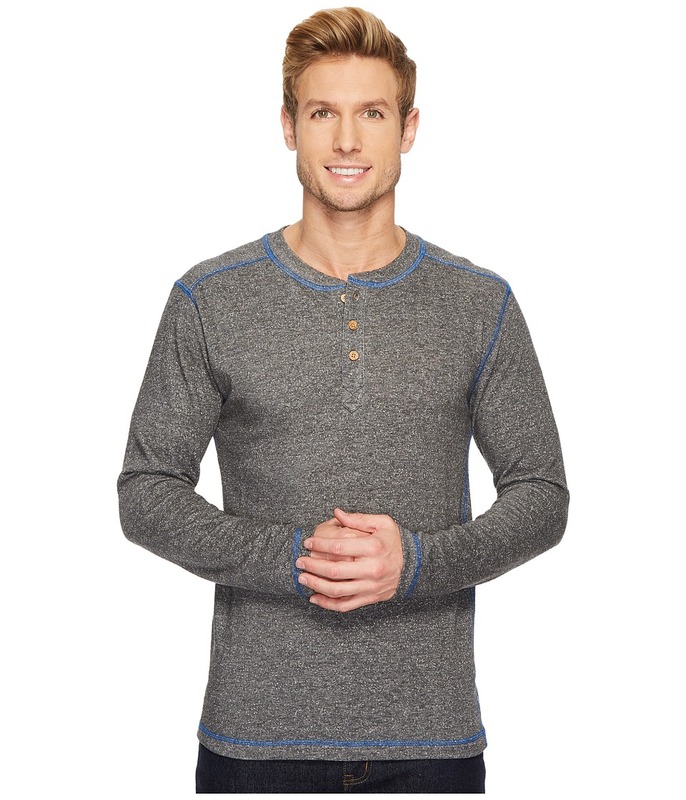 Start the weekend early with the relaxed style of the Vintage 1946 Negative Slub Garment Dyed Henley. 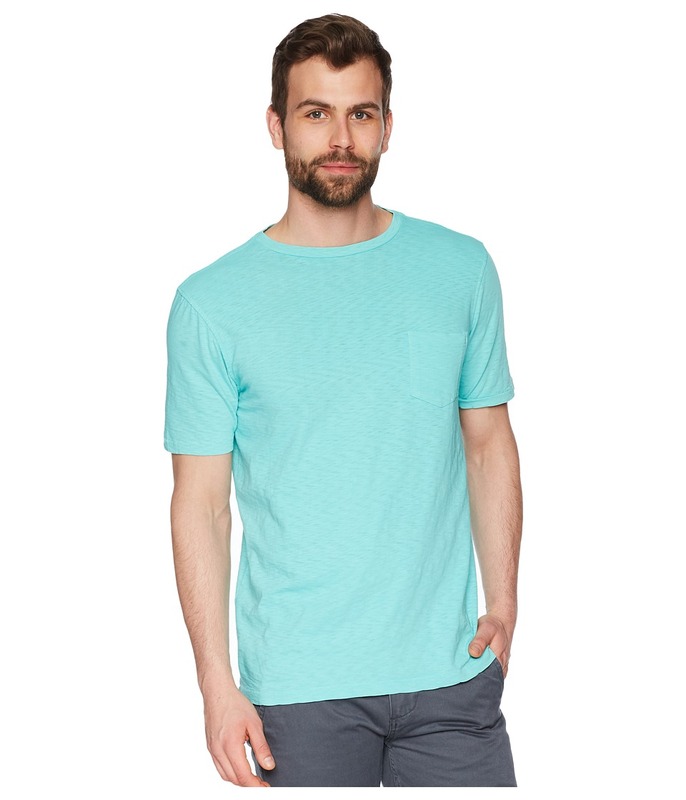 This henley tee is crafted from a superbly soft and lightweight slub jersey in a unique garment dye for a lived-in look and fee. Crew neck and short sleeves. Three-button placket. Straight hemline. 100 percent cotton. Machine wash, tumble dry. Imported. Measurements: Length: 29 in Product measurements were taken using size MD. Please note that measurements may vary by size. 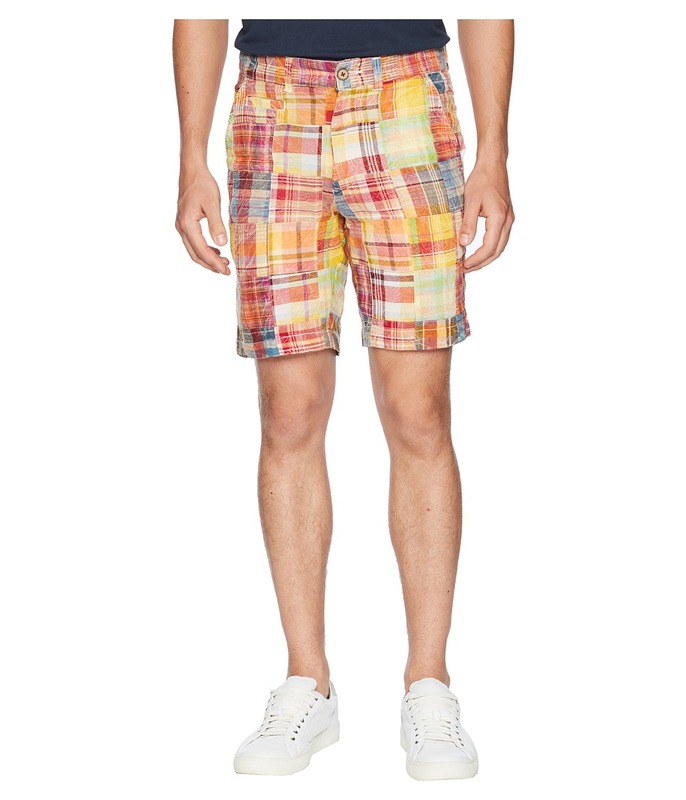 Sport a well-worn look with the Vintage 1946 Acid Washed Patch Madras Shorts. Five-pocket design. Belt loop waist. Button and fly closure. 100 percent cotton. Machine wash, tumble dry. Imported. Measurements: Waist Measurement: 32 in Outseam: 19 in Inseam: 9 in Front Rise: 12 in Back Rise: 14 in Leg Opening: 9 in Product measurements were taken using size 32, inseam 9. Please note that measurements may vary by size. 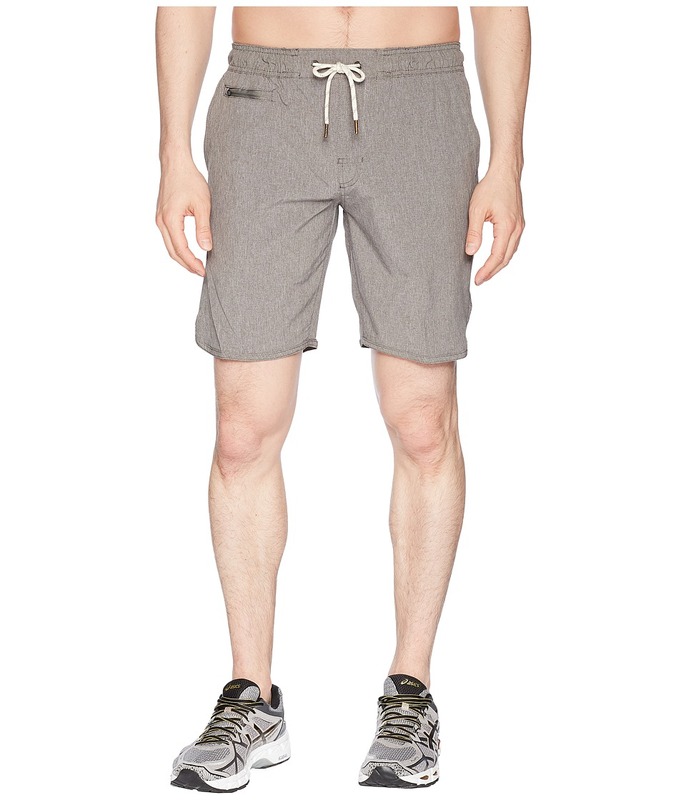 When you gear up in the hybrid design of the Vintage 1956 Windjammer High-Performance Shorts, you~re prepped to take a splash and still be dry and comfortable for the end-of-day cantina trip. Hybrid short is crafted from a lightweight heathered poly-woven with added stretch for a comfortable wear during any water-to-land activities. Stretch elasticized waist with drawstrings for a custom fit. Zipper pocket at hip. Side hand pockets. 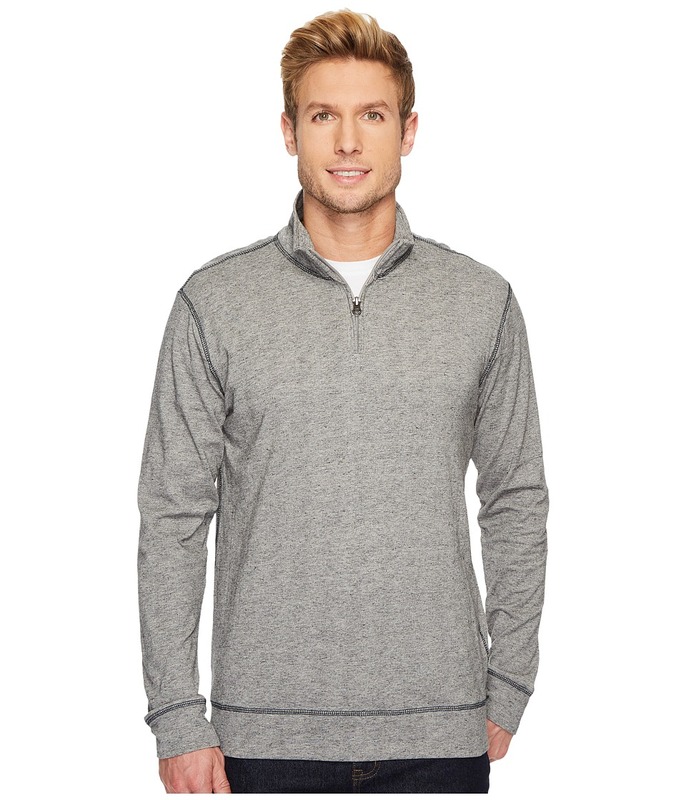 Concealed zip-up pocket at back. Scalloped hem lends a refined finish. 92 percent polyester, 8 percent spandex. Machine wash, tumble dry. Imported. Measurements: Waist Measurement: 30 in Outseam: 18 in Inseam: 9 in Front Rise: 10 in Back Rise: 13 in Leg Opening: 22 in Product measurements were taken using size MD, inseam 9. Please note that measurements may vary by size.